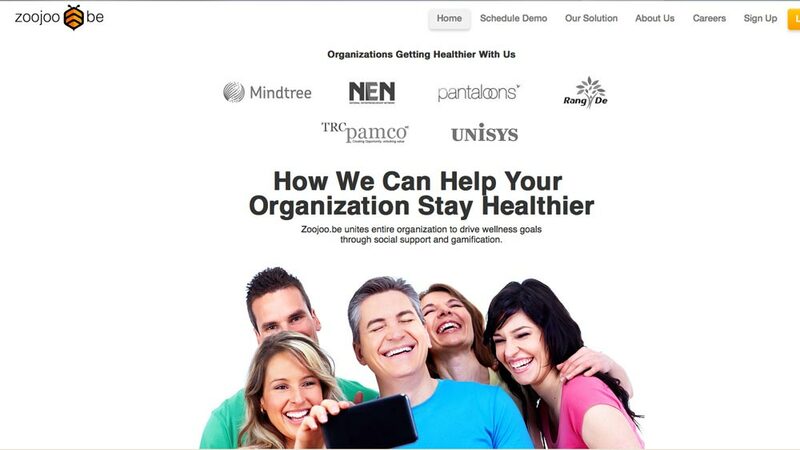 Bangaluru-based start-up Uber Health Tech Pvt Ltd has built a social wellness app for corporate use named Zoojoo.be. The wellness app has recently raised $1 million (about Rs 6.4 crore) in series A funding from US-based VC fund RoundGlass Partners. Founded in August 2013, Zoojoo.be attempts to bring about behavioural changes in users and help them cultivate healthy diet habits through fun games between co-workers. “Our mission is to measurably and quantifiably improve the wellbeing and happiness level of the workforce. We want to achieve our goal by helping our users create long-term positive behaviour change by forming great habits,” Avinash Saurabh, Co-Founder and CEO of Zoojoo.be told Business Line. Run by a small team of eight, Zoojoo.be had raised an undisclosed seed capital in May 2014 from a group of investors including K Srikrishna, Former Executive Director of NEN; Bikash Chowdhury, Global Head of Digital Marketing at InMobi; M Chandrasekaran, Director of Manipal Health Enterprise Private Ltd and others. The company claims that its platform has over 35,000 users across clients such as Mindtree, Unisys, GE and others. It has operations in India and the UAE. For RoundGlass Partners, a Seattle-based venture firm that focuses on healthcare startups, this is the second investment in India. This funding comes three weeks after it partnered with Flipkart co-founders Sachin Bansal and Binny Bansal, and Fortis promoters Malvinder Singh and Shivinder Singh, to invest $2.3 million (Rs 15 crore) in medical technology startup Wrig Nanosystems. Jessica Alba launches beauty line..